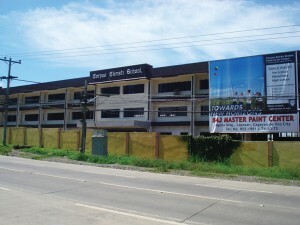 Newly Built Corpus Christi School beside Vista Verde Village, Pueblo! Month of June is said to be the starting month in school and even in real life situation. This is a good month for weddings and a good start for a whole year for school, for those pupils and students. There are numbers of parents here in the city of Cagayan de Oro, who is having difficulty of finding and choosing the right school for their kids to be. Thus, we, in CDO Realty, would like to disseminate this information that here is another and newly built learning institution for your kids! We are proud to update all of our followers and clients’ online, that the Corpus Christi School big building and its good facilities is now open here in Vista Verde Village Pueblo, CDO. As we observed its building development, it started last 2009. Now, they formally open the school for the adequate learning for every student. Its location is really accessible to every one, because it is just along the highway going to Xavier Heights, just beside and also attached to Vista Verde Village Pueblo subdivision, and right in front of Xavier Estates residences. It is very accessible from road downtown to uptown area. The security is there for your kids, as well as, the competitive and high standard education offered to every learner. So mom and dad, hurry! Enrol your kids now to Corpus Christi School at the very accessible and well-secured subdivision in Vista Verde Village, Pueblo!